The town of Plymouth features tourism as a key element of its economy, as well as health care, real estate, telecommunications, and scientific research. Its downtown area has become a commercial center. If you have been injured in the course and scope of a job in Plymouth, you can discuss your situation with the experienced workers' compensation lawyers at Pulgini & Norton. We may be able to help you pursue benefits. Employees in any industry may suffer disabling injuries or illnesses. Desk workers may develop repetitive stress conditions. Factory workers may suffer lacerations or become ill from exposure to hazardous chemicals. In the construction industry, falls and crushing injuries may occur. Workers' compensation benefits in Massachusetts are available to all employees who suffer injuries or develop illnesses arising out of their jobs. Once you realize you have suffered a job-related injury or illness, you should report it to your employer as soon as possible. If you are unable to earn wages for five full or partial calendar days due to an occupational illness or injury, your employer is required to file a report with the Department of Industrial Accidents (DIA), which administers the workers' compensation system. A copy of the report should also be sent to the insurer and to you. 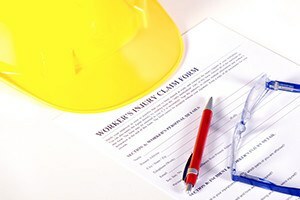 Some workers start to receive workers' compensation checks immediately, and they may incorrectly assume that the employer and insurer are accepting liability. However, the insurer can choose to pay you benefits for 180 days, a "pay without prejudice" period, while it decides whether it is accepting or denying liability. During this period, the insurer can stop paying benefits with seven days’ written notice. The insurer must give a reason for denial. If, at the end of the first pay without prejudice period, no denial has been issued, an insurer can only stop paying you benefits by receiving written consent from you or permission from an administrative law judge. In some cases, the insurer may ask you for an extension of the pay without prejudice period. You should not assume that when an insurer denies your claim, it is correct in its assessment. Insurers often deny legitimate claims, which a DIA judge may later order them to pay. You can obtain recourse from an insurer's denial by filing an employee's claim, a Form 110, with the DIA. This will initiate an appeal process with multiple stages. You need to file this claim within four years of the disability date, but in most cases, it is best to initiate this process as soon as possible because it can take time to go through all the stages of appeals with the DIA and obtain the benefits you need. You will need to attach documentation related to your claim, including medical bills, to the Form 110. By submitting a Form 110, you are asking for an administrative proceeding before a judge in order to obtain workers' compensation benefits. Once you have submitted the form, you should receive a notice of conciliation, an informal meeting that is the first step towards resolving your claim. The workers' compensation claims process can be confusing to an applicant. However, even the informal steps can have a substantial impact on whether you ultimately recover the benefits that you and your family need to stabilize your financial position. If you are filing a workers' compensation claim in the Plymouth area, you can seek guidance from the workplace accident attorneys at Pulgini & Norton. Call us at 781-843-2200 or contact us via our online form for a free consultation.